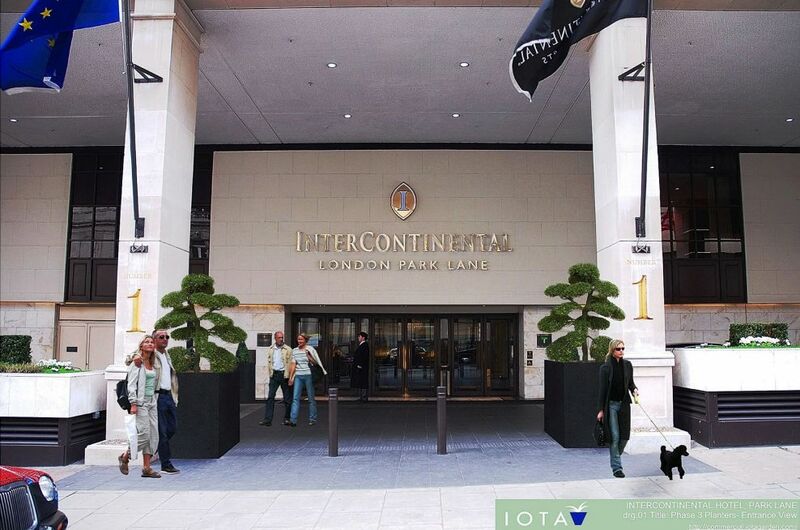 IOTA is a leading specialist supplier to the exterior and interior landscape industries, with a dedicated product focus on planters and street furniture in natural stone, metal and composite materials. Within this specialist product niche, IOTA has an unmatched breadth and depth of experience across different materials, applications and environments. • Communicating a design vision through CAD visualisation, or physically via 3D printing techniques. • Converting a general design concept into practical solutions for planters, planting and plant maintenance. • Validating designs against client expectations for functional performance and whole life value, in the given environment. • Proposing design, construction and material alternatives as part of a value-engineering process. • Refining and expanding conceptual designs into detailed CAD drawings ready for final costing and/or production. The Image Gallery shows a selection of projects where CAD design services have been commissioned from IOTA, to give a general idea of the possibilities available. These projects are described below, in addition to downloadable CAD drawings whose use is permitted only under the terms of the IOTA CAD Drawings and Images Licence Agreement. 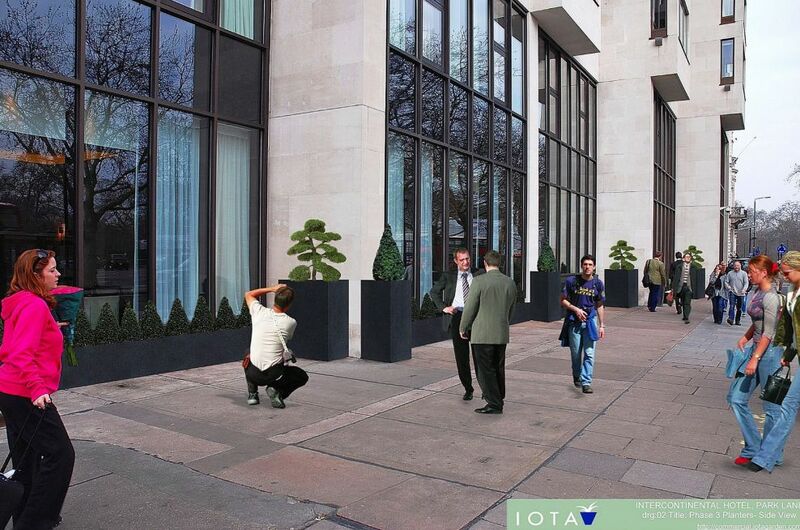 IOTA designed an exterior container-based landscaping scheme for the Intercontinental Hotel, Park Lane, London. 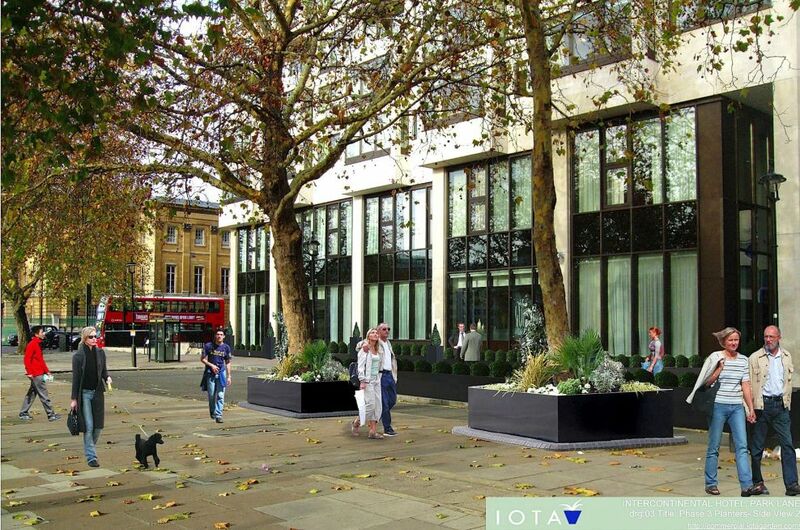 The scheme, in powder coated steel, includes statement planting at the entrance; extensive planting along the frontage of the hotel; and the creation of ten planted beds around established London plane trees at the intersection of Park Lane and Piccadilly. 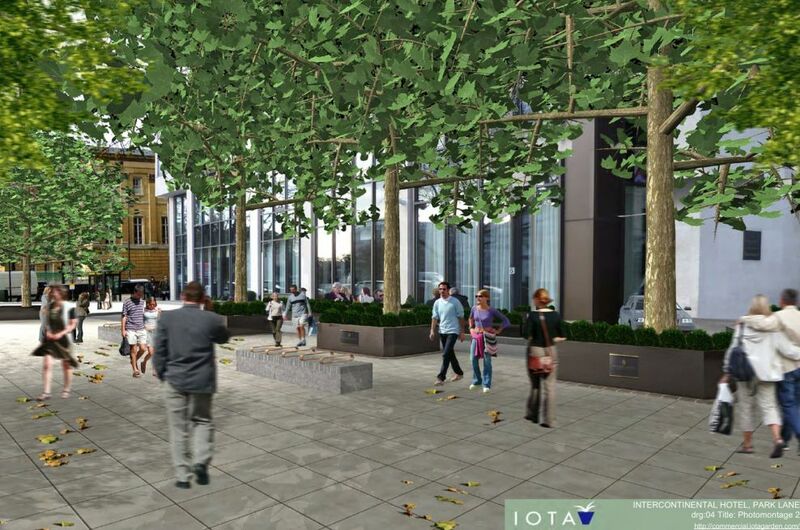 Given the high public visibility and brand sensitivity of the proposals, IOTA used photomontage techniques to develop 3d CAD visualisations to assist in communicating the scheme to the client. The architects’ proposals for this project included an extensive scheme of granite benches with slatted hardwood seating, of total length in excess of 100m, a portion of which was also to serve as a structural retaining wall. 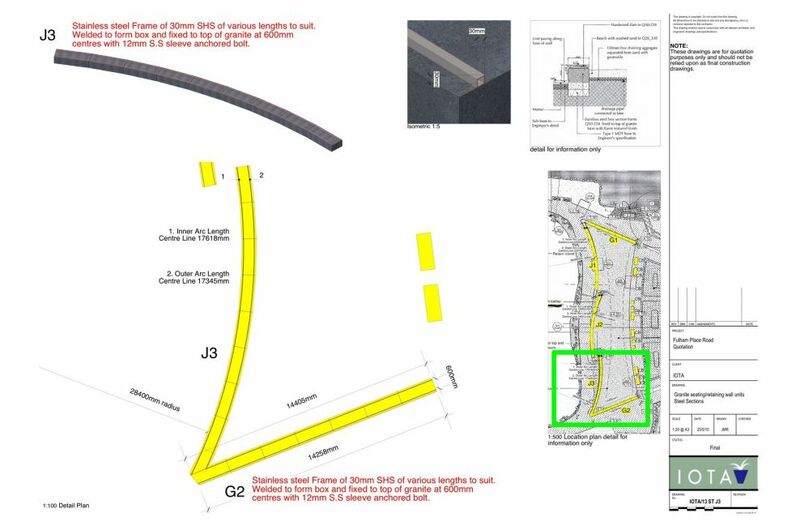 The scheme was further complicated by the layout of benches in perfect arcs, which would require the seating components (granite blocks, steel railing and hardwood slats) to be cut and/or formed to maintain an exact radius over long runs, with the arcs also needing to interface seamlessly with additional straight sections of benching. IOTA worked with Mansell on their tender for this project, refining and expanding CBA’s designs into detailed pre-production CAD drawings, from which accurate costings could be calculated. 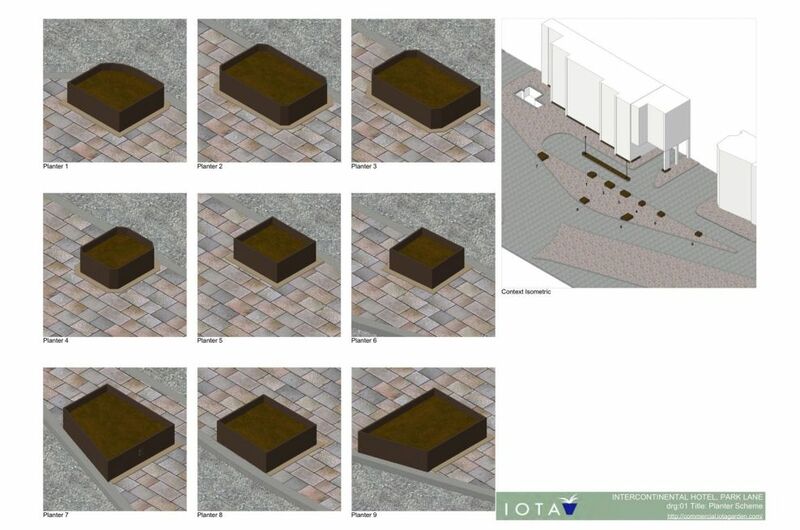 IOTA also proposed, developed and costed a number of alternative designs and construction methodologies which would realise cost savings of up to 35% on the total scheme. IOTA worked with BAM Nuttall on their tender for the Crossrail Paddington project, in the area of granite street furniture. 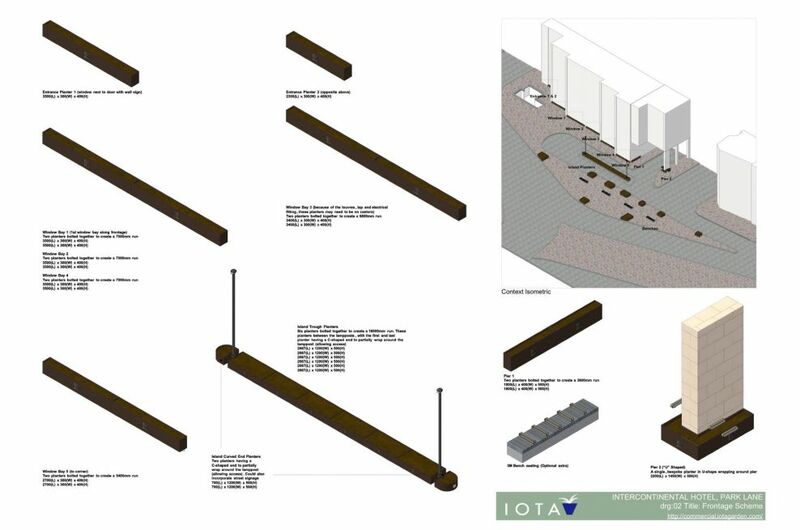 Working from the general design intent within the published Urban Realm Specification documents, IOTA developed detailed CAD designs for surface-decorated granite benches, both with and without additional bronze armrests. Solid granite benches up to 3500mm in length were designed and costed to be compliant with BSI PAS 68/69 classification; and alternate, lower cost, designs of different construction were also developed. 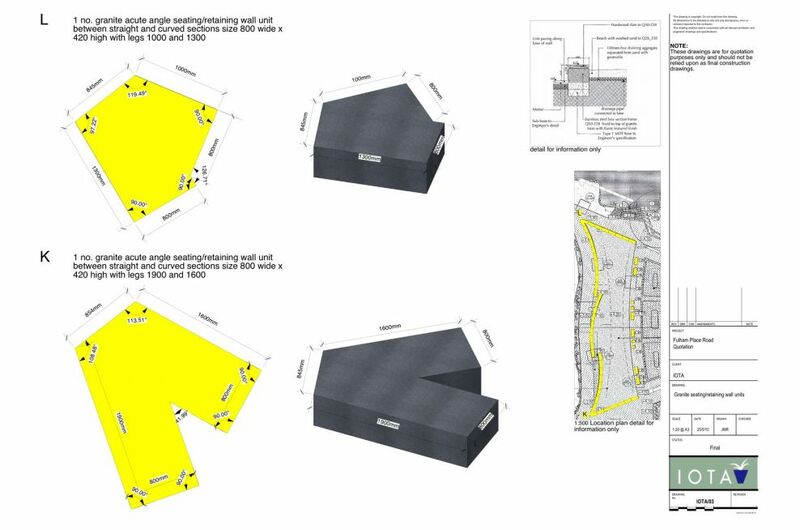 The designs were also converted into a package of 3d CAD visualisations to assist in communicating the proposals to the client. 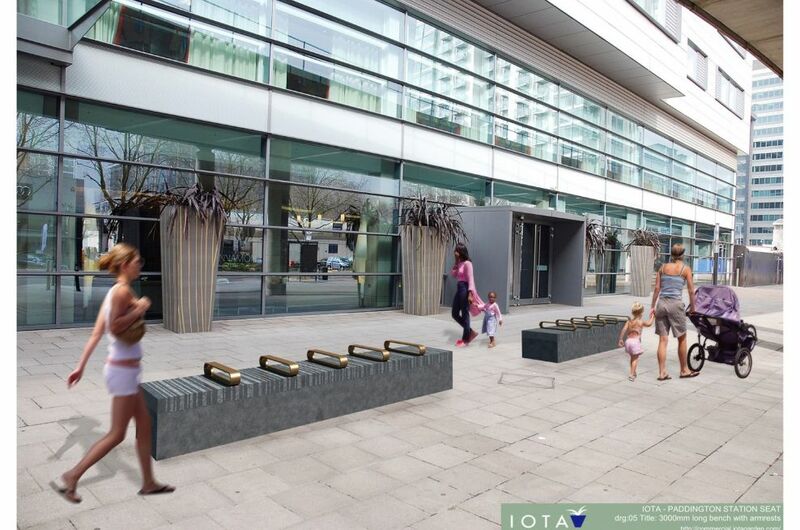 As part of a commercial premises redesign, Zaha Hadid Architects proposed to replace existing street bollards with a sculptural scheme of six individually-designed and solid stone ‘pebbles’. 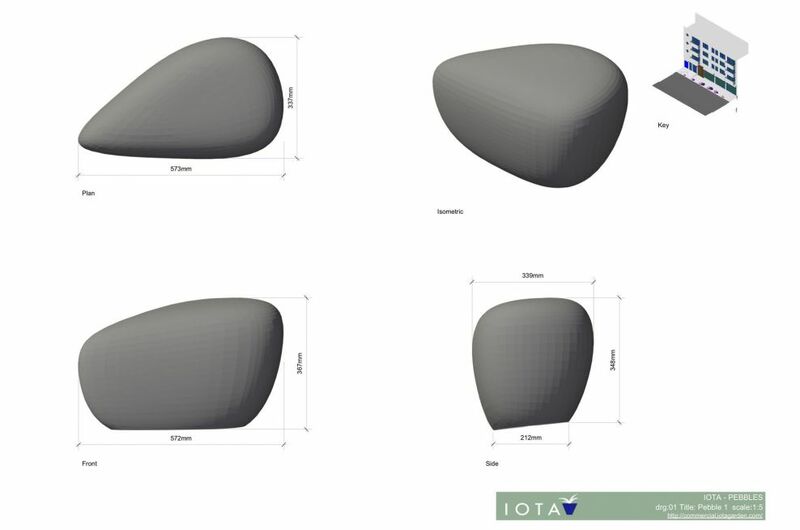 From this general design brief, IOTA developed unique designs for each pebble in sizes ranging from the smallest at L 572 x W 337 x H 348mm up to the largest at L 1129 x W 733 x H 726mm. 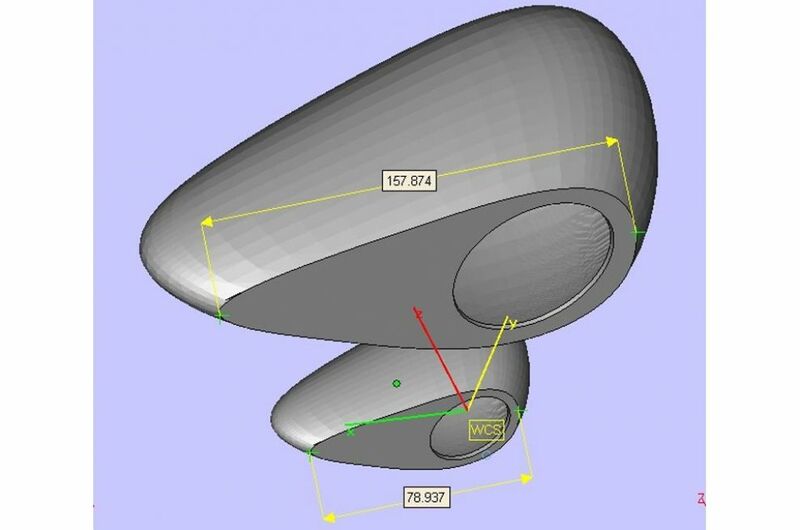 3d CAD models were created for each design, and for the scheme as a whole; and one design was developed into models for hollow 3d printing at 1:10 and 1:5 scales. IOTA also costed the scheme for ZHA in a number of different material options, including various granite stones, and also FRC and GRC.